There is no magical food that will protect your liver from disease and damage, but including these top 12 super foods as part of a balanced diet and lifestyle will help you maintain a healthy weight, aid digestion and reduce cholesterol – all good news for your liver. See our liver-loving recipes for inspiration. If you have high cholesterol, high blood pressure, insulin resistance, abdominal obesity or diabetes you’re at a higher risk of developing liver disease, so it’s even more important for you to eat wisely and manage these conditions. If you’ve been diagnosed with liver disease, you may need to manage your protein, salt and fluid intake too – seek advice from your doctor or dietitian. Almonds are the nuts. Jam-packed with fibre, riboflavin, magnesium and iron, they also have more calcium than any other nut. Like all nuts, they provide one of the best natural sources of protein, and because as they contain unsaturated fats they lower cholesterol levels, which is good for your heart. 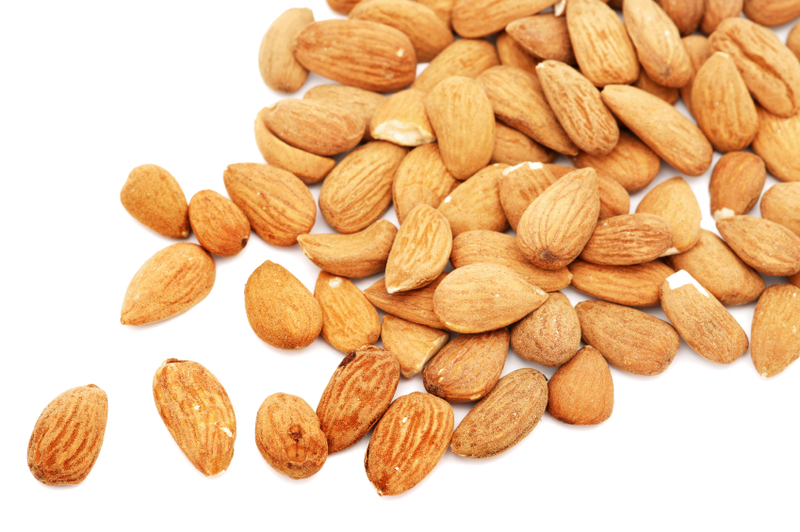 Recommended intake: One to two tablespoons of raw, unsalted almonds (or othernuts), five times a week. Oats have a high soluble fibre content, a low glycaemic index and they are a whole grain, which means they contain many essential vitamins and minerals. So, a regular dose of oats in your diet may help lower cholesterol levels, reduce heart disease risk and prevent Type 2 diabetes. Recommended intake: Oats are part of the ‘breads and cereals’ food group, which includes wholegrain bread, breakfast cereals, crackers, pasta, rice and noodles. You should have four to eight serves of breads and cereals per day, depending on how physically active you are. One serve is equal to two slices of bread, one cup of cooked pasta, rice, noodles or couscous, one cup of cooked porridge or one and 1/2 cups of breakfast cereal flakes. Aim to include half to one serve of oats, brown rice or couscous per day. Blueberries, like cranberries, are high in plant compounds (phytonutrients) which may help prevent urinary tract infections. This super food may also help improve your short-term memory, promote healthy aging and lower your risk of heart disease and cancer. They have anti-inflammatory properties, vitamin C to keep your capillaries and blood vessels healthy, and they’re a good low-calorie source of fibre and potassium. Other sources: Cranberries, boysenberries, strawberries, currants, sultanas, blackberries and cherries. Recommended intake: Two servings of fruit per day. One serve is equal to one medium piece of fresh fruit, one cup of diced fresh fruit, or two tablespoons of dried fruit. Of these serves, aim to have four to five serves per week of blueberries or the other sources listed above. Packed with protein, oily fish is also a good source of omega 3 fatty acids – a type of unsaturated fat with huge health benefits. Omega 3 decreases cholesterol and triglyceride levels, preventing the clogging of arteries and lowering blood pressure which, in turn, lowers the risk of heart disease and stroke. There is also evidence to suggest it can help reduce inflammation associated with arthritis, prevent memory loss and reduce depression. Other sources: All fish, especially oily types (salmon, mackerel, tuna, marlin, swordfish, sardines, herring, trout, oysters and clams), as well as fortified eggs, flax seed (linseed) and walnuts. Recommended intake: Two to four times per week (fresh and/or canned). Soy is a top quality protein that has no cholesterol or animal fat. It’s low in saturated fat, high in fibre and is known to reduce the risk of heart disease and stroke, may help prevent osteoporosis, alleviate those hot flushes during menopause and may even help protect against breast, prostate and bowel cancer. In over 3,000 research papers on soy, there is no sound evidence to support recent controversy over the relationship between soy and cancer, or any other negative health effects. Other sources: Soymilk, soy yoghurt, soy custard, soy ice cream, tofu and soy-based meat substitutes. Recommended intake: One to four servings per day (soymilk on your cereal, tofu in your evening meal and/or soy ice cream for dessert). Put the kettle on and make yourself a nice cup of green or black tea. Brimming with antioxidants, a cuppa can help protect your body’s cells against damage and mutation. Green tea also packs ECGC – a powerful antioxidant that may inhibit the growth of cancer cells, while black tea can boost the immune system, lower the risk of stroke and may help prevent osteoporosis. Recommended portion: One cup per day. Dairy foods are the best sources of calcium, promoting strong bones and a healthy heart. Yoghurt has the added bonus of pre- and probiotics, which promote a healthy digestive tract too. Dairy is also naturally high in saturated fat, high consumption of which is known to increase the risk of heart disease, so seek out reduced fat, low fat or no fat varieties. Although yummy, be aware that ice cream, cream and soft cheeses, such as brie and camembert, are relatively low in calcium and high in saturated fat. Other sources: Milk, cheese and custard. Recommended intake: Three serves of reduced fat dairy per day. One serve is equal to one cup (250mL) milk, one tub (200g) yoghurt or 40g of hard cheese. These greens are an especially good source of calcium, potassium, folate, fibre and a group of compounds called phytonutrients that may help prevent chronic diseases such as heart disease, diabetes and some cancers. Also high in antioxidants and vitamins A and C, a regular serve of broccoli helps protect your body's cells from damage, boosts the immune system, builds healthy bones and is thought to reduce the incidence of birth defects. Other sources: Brussels sprouts, cabbage and cauliflower. Recommended intake: Five serves of vegetables per day, with only one serve of starchy vegetables (potato, sweet potato, corn). One serve of vegetables is equal to ½ cup of cooked, one cup of raw/salad or one medium potato. Of your four serves of non-starchy vegetables, include one serve of broccoli, brussels sprouts, cabbage or cauliflower each day. Red beans are the business when it comes to boosting your iron, magnesium, phosphorus, potassium, copper and thiamine intake. They also contain phytonutrients, which may help prevent chronic health issues such as heart disease, high blood cholesterol, high blood pressure and cancer. All legumes are low in fat, low in kilojoules, high in dietary fibre and are packed full of protein – making them a great meat alternative for vegetarians. Other sources: Legumes including chickpeas, cannelini beans, borlotti beans, baked beans and three bean mix. Recommended intake: Four servings per week – one serve is ½ cup of canned/cooked legumes. Is spinach really good for your skin and hair? You’d better believe it. The plant compounds in spinach are also good for boosting your immune system and contain high levels of vitamins A and C and folate, as well as riboflavin, vitamin B-6, calcium, iron and magnesium. Other sources: Baby spinach, silver beet, turnips and dark lettuce. Recommended intake: One serving two to three times a week – one serving is ½ cup of lightly steamed, or one cup of raw spinach. One of Mother Nature’s anti-ageing secrets, pumpkins are high in the antioxidant beta-carotene, which your body converts into vitamin A and may help slow the ageing process and reduce the risk of lung, colon, bladder and breast cancers. Unlike true vitamin A, beta-carotene is not toxic to the liver if consumed in large amounts. Pumpkin is also a good fat-free, low-kilojoule source of fibre, vitamins B6, C and E, folate and potassium. Other sources: Carrots, squash, sweet potatoes and capsicum. Recommended Portion: Five serves of vegetables per day, with only one serve of starchy vegetables (potato, sweet potato, corn). One serve of vegetables is equal to ½ cup of cooked, or one cup of raw/salad. Make pumpkin, carrots, sweet potatoes, or capsicum one of your five serves of vegetables per day. An easy way to make sure you get your five serves of vegetables in your daily diet. Vegetable juice contains the essential vitamins, minerals and other nutrients found in vegetables in their original form (except fibre). Unlike fruit juice, it contains very little, or no sugar, making it low in kilojoules and high in nutrients. Tomato juice is a particularly good source of lycopene, an antioxidant that may reduce the risk of heart attack, prostate cancer and possibly other types of cancer. Carrot, celery, beetroot, cucumber, capsicum, tomato and ginger can all be juiced. If you buy pre-packed vegetable juices, be sure to select the low-sodium varieties. Recommended intake: If you regularly meet your recommended five serves of vegetables per day, have one vegetable juice per week. If you struggle to eat all of your five-a-day, use juices to help top up your vitamins and minerals. Including these top 12 super foods as part of a balanced diet and lifestyle will help you maintain a healthy weight, aid digestion and reduce cholesterol – all good news for your liver. The Australian Dietary Guidelines give advice on eating for health and wellbeing. They’re called dietary guidelines because it’s your usual diet that influences your health. Based on the latest scientific evidence, they describe the best approach to eating for a long and healthy life. If you have an existing liver condition please seek advice from a healthcare professional on the best foods for your lifestyle. Enjoy a wide variety of nutritious foods from these five groups every day.